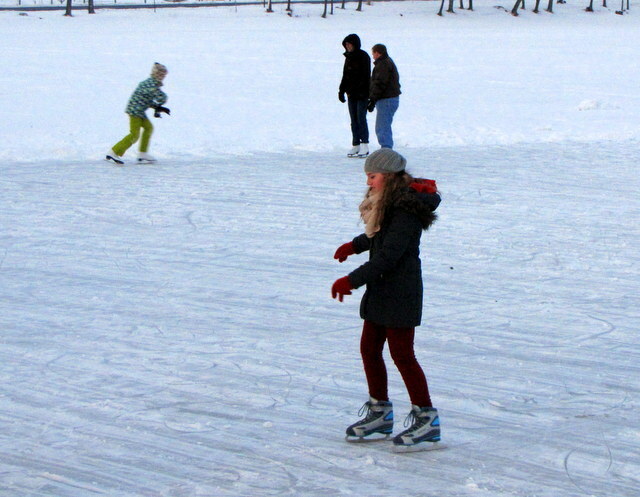 The Abington Lions Club runs a Valentine’s Ice Skating party at Hillside Park each year. The 2015 event was well-attended, and the ice was terrific. Lions Rich Kubick, Joe Skinner, Dave Lindsey and Ed Borek spend several hours clearing the ice of snow, resurfacing the ice, and setting up lights. A campfire provides some warmth, and the Lions Club serves free hot chocolate. This is an evening skate. Not only is it a beautiful and romantic event, but the kids like it too with several engaged in a game of ice hockey. The area is big enough for everyone. In September we recognized Spouses, Friends, Children and significant others who help our club with our projects and events. These silent heroes often bear the burden of behind the scenes efforts to make events a success, and we deeply appreciate their support. Thank You!! We were very pleased to have excellent attendance at the dinner. In fact we weren’t prepared for the overwhelming response, but the Ramada Inn came to the rescue by providing additional tables and dinners. We appreciate their hospitality. 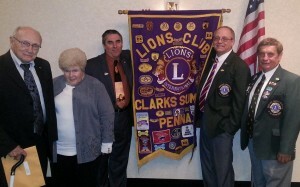 We also welcomed District Governor Joe Skinner and First Vice District Governor Gene Scioletti to our club meeting. We appreciated their kind words, and particularly Lion Joe’s message regarding his vision and objectives for District 14H for 2014-2015. The Abington Lions Club is very proud that Joe Skinner, a very active member of our club, is serving as District Governor, and equally proud of the four other club members who are Past District Governors. Several upcoming projects were discussed by their chairpeople. Rich Winslow talked about the upcoming Fall Festival project at Hillside Park on September 28th and asked all Lions to come help prepare and sell concessions. Brian Davis, Ellen Burkey, and Julie Paddock talked about the upcoming Elimination Dinner, and reminded all Lions to get their tickets now. There is no entry with out a ticket, and only 100 tickets are available. Club Officers were sworn in by District Governor Joe Skinner, and promised to perform their responsibilities to the best of their ability. 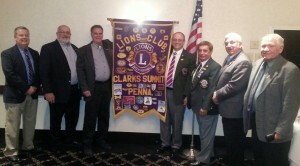 On Saturday, October 18th, 2014, the Abington Lions Club will host our inaugural “Elimination Party”. This promises to be a raucous, fun-filled event with plenty of laughs and excitement. We’ve experienced these parties in other areas and they were a blast! An opportunity to win prizes with a Grand Prize of $2,500. Only 115 tickets are sold, so the odds of winning the Grand Prize are quite good at 115 to 1. The event starts at 6pm at the Ramada Inn in Clarks Summit. Ten tickets will be raffled off during the event, increasing your odds of winning. Ticket cost is $100 and must be purchased in advance. To buy tickets please contact event chairpersons Ellen Burkey, Brian Davis, or Ed Borek. The final Adopt-a-Highway cleanup will be October 4th, 2014. We meet at the Ramada Inn in Clarks Summit at 8:15am and step off by 8:30am. If we have 8 people we can split the route into four segments and get it done in a little over an hour. Our route is from Ramada to Wellington’s. Safety vests, long-reach pickup tools, gloves and garbage bags are all provided. 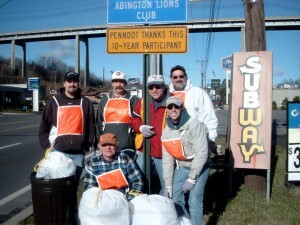 We’ve been doing the Adopt-a-Highway cleanup along this stretch of road for decades. The state requires that we conduct four cleanups each year in order to maintain our relationship. On Sunday, September 28th, the club will serve food at the annual Fall Festival at Hillside Park near the State Hospital. We’ll be cooking burgers, hot dogs, funnel cakes, and we’re looking for member to help make other food items to sell. This is popular project for the club and we need lots of help for this event. Rich Winslow is the chairperson. On September 14th, 2014, residents of the Clarks Summit Senior Living center on the Morgan Highway will conduct a fund-raising fair to support Alzheimers research. 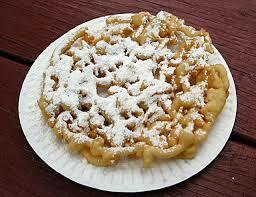 The club will cook funnel cakes at the fair from 1 PM- 4 PM. This is a fundraiser for Alzheimer’s research being run by the residents of the Senior Living center. The club is donating our time and materials in appreciation of being allowed to use the center for our monthly board meetings. We need help with set up, cooking and cleanup. Dave Lindsey and Mark Davis are chairing this event. Just show up if you can help. 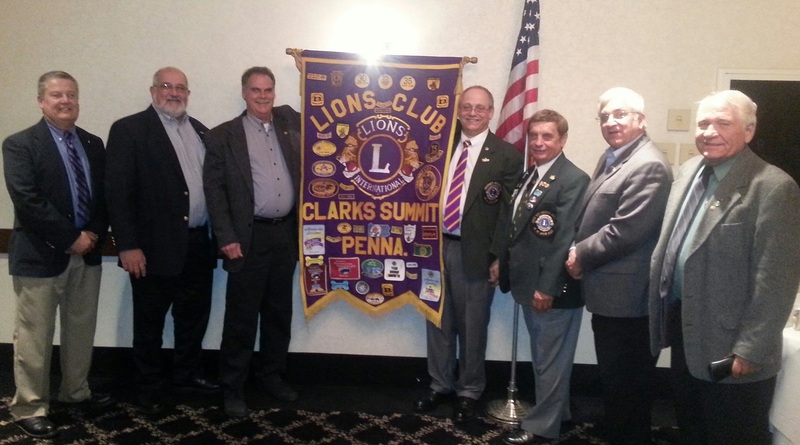 Saturday, October 25, 2015, is the Abington Lions Club Annual Appreciation Dinner at the Ramada Inn in Clarks Summit. This is an opportunity for members to bring their spouse, significant other, children, or other guest in appreciation of their support of Lions Club projects and activities. The dinner will begin with some socializing at 6 PM, dinner at 6:30 PM and a program ending by 8:30 PM. Dinner cost is $18 per person for all attendees. Cash bar is available. We now accept credit cards at the dinner, or you can pay in advance using the PayPal Donate button on the home page.